Please accept our dandavat pranams to all of you. The World Vaisnava Association has resolved to take up the issue of permission for foreign devotees of Lord Jagannath, Subhadra and Baladeva to enter the Jagannath Temple in Puri. 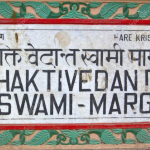 Recently we came across two letters written by Srila A.C. Bhaktivedanta Swami Prabhupada to his Godbrother Srila Bhakti Vaibhav Puri Goswami Maharaj, who was based in Orissa, and whose temple is situated next to the Gundica Mandir. He also preached the glories of Lord Jagannath around the world. In those letters, which you find at the end of this article, he requests Srila Puri Maharaj to make every possible effort, including approaching the top leaders of the state, to gain the mercy of darshan in the Jagannath Mandir for foreign devotees of Lord Jagannath, who converted to Hinduism. Today, many Jagannath Mandirs have opened around the world under the inspiration of Srila Bhaktisiddhanta Sarasvati Thakur Prabhupada, who was born in Puri on the main road. 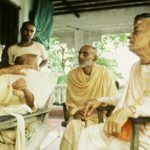 His disciples, including Srila Bhaktivedanta Swami Prabhupada and his ISKCON movement, have established many missions around the world like the Sri Chaitanya Gaudiya Math in Puri on the main road and the Sri Krishna Chaitanya Mission from the Gundica Mandir in Puri. All of them plus many other missions have converted thousands of people around the world to the love of Sri Jagannath. Often they come to visit Puri and leave very sad for not having been allowed to take darshan in the temple. Around the world many of the missions conduct small and medium Jagannath Ratha Yatras, and we could easily say that Sri Jagannath’s fame is increasing day by day. It has been noted that some initial attempts by ISKCON to gain entrance to the temple and establish their mission in Puri have been objected to by local residents. 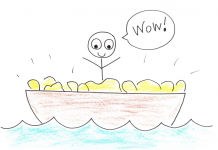 When asked, the local residents said that they saw ISKCON as just another interest group and they voted against letting them into the Jagannath Mandir. 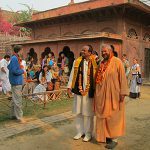 The Visva Vaisnava Raj Sabha or World Vaisnava Association was founded by Srila Jiva Goswami in Vrindavan in the 16th century. Srila Jiva Goswami was a disciple of Sri Chaitanya Mahaprabhu. 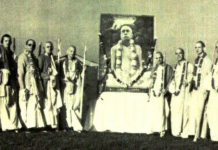 The organization was officially registered in Delhi 20 years ago by Srila Bhakti Pramod Puri Goswami Maharaj, who had his temple in Chakratirtha Puri. It is an umbrella organization for all non-sectarian Vaisnava organizations inspired by Lord Jagannath’s ideals. We have taken up this task given by Srila B.V. Swami Prabhupada to Srila Bhakti Vaibhav Puri Goswami to convince the generous devotees of the Lord to extend their mercy to the newcomer Hindu devotees of Lord Jagannath from around the world. 1. Pictures of your Jagannath Deities and the temple building so they may be exhibited in Puri. 2. Letters written by your devotees attesting to why they believe in Lord Jagannath, even though they cannot enter the Puri temple, in hope that they will soften the hearts of some of the responsible authorities. 4. A formal letter from your temples and missions requesting the mercy to have darshan of Lord Jagannath in Puri directed to the King of Puri, the chief priests, the judges of Puri and India, and the local authorities. Please give us any further recommendations about what else we can do to be successful in our efforts. We humbly bow to all Acharyas, Sannyasis and devotees of Lord Jagannath around the world. Get organized, please. Please bless our service to all of you. Jay Jagannath! *Swami Bhakti Vicar Visnu Maharaj is the vice president of the World Vaisnava Association and Acharya of the Sri Krishna Chaitanya Mission Puri and Berampur and branches around the world. 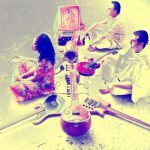 *Swami B.A. Paramadvaiti is the general secretary of the World Vaisnava Association and founder of the Vrindavan Institute of Vaisnava Culture and Studies with branches in over 30 countries. 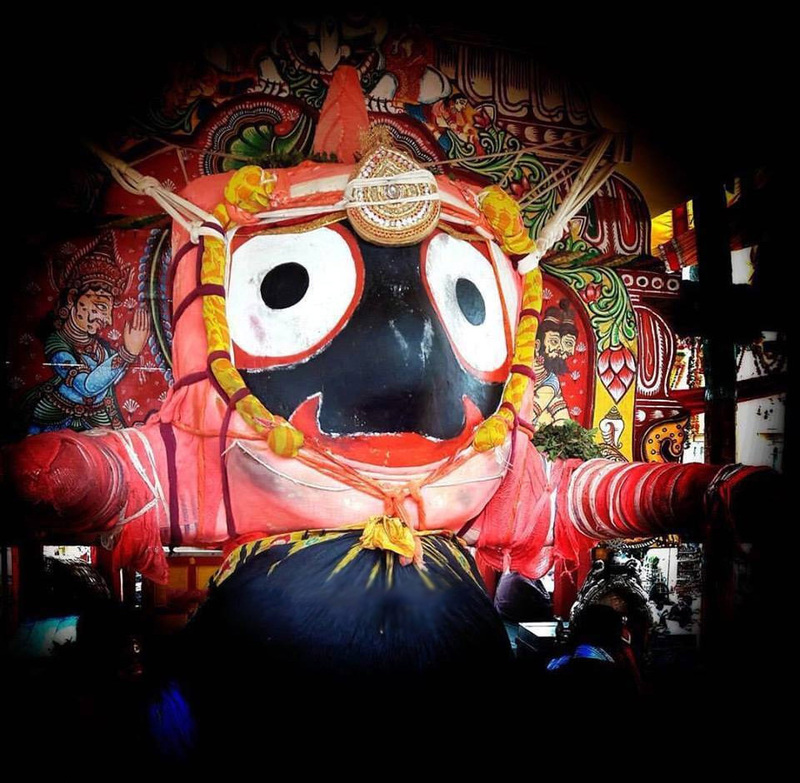 of Mahaparbhu Jagataronatho ….. Jagannath.